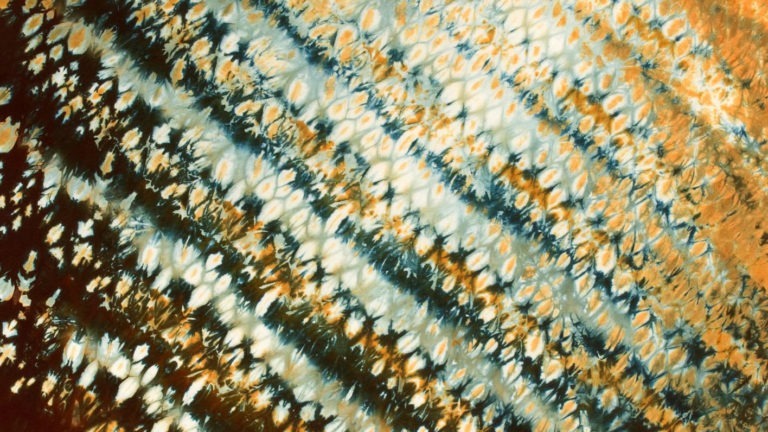 Artist, Ann Johnston, will present a fast-paced lecture/demonstration of both low-water immersion dyeing and painting and printing with Procion MX dyes, introducing the unlimited potential of creating color and pattern on cotton, linen, rayon, and silk. The dyes are versatile, economical and safe to use. Their advantage over paint is that they are light and wash fast–without changing the hand of the fabric. Johnston will show how various tools are used and how changing the consistency of the dyes creates different effects. The goal of the seminar is to offer students a chance to see possibilities for their own work and encourage them to be able to make their own marks and colors on their textile projects. Handouts will provide the basic recipes for future use. For added fun, volunteers may be recruited during the demonstrations to sample techniques. For further reference see Ann’s book, Color By Design: Paint and Print with Dye and her DVD Color by Accident: Exploring Low-Water Immersion Dyeing. To learn more about her work, visit site www.annjohnston.net During this workshop, Ann will lead the class through her exhibition “Quilts of the Sierra Nevada” to explain the techniques used for the pieces they will see. NOTE: This is not a hands-on seminar. This program is lecture and demonstration based. Participants will be watching as artist Ann Johnston demonstrates her techniques.